supercar’s debut at the International Geneva Motor Show, the boutique British automaker has released a selection of images of the car, together with a smattering of technical information. 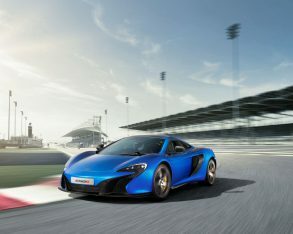 The new model will be called the McLaren 650S, and will slot between the 12C and the more expensive (and now sold out) P1. 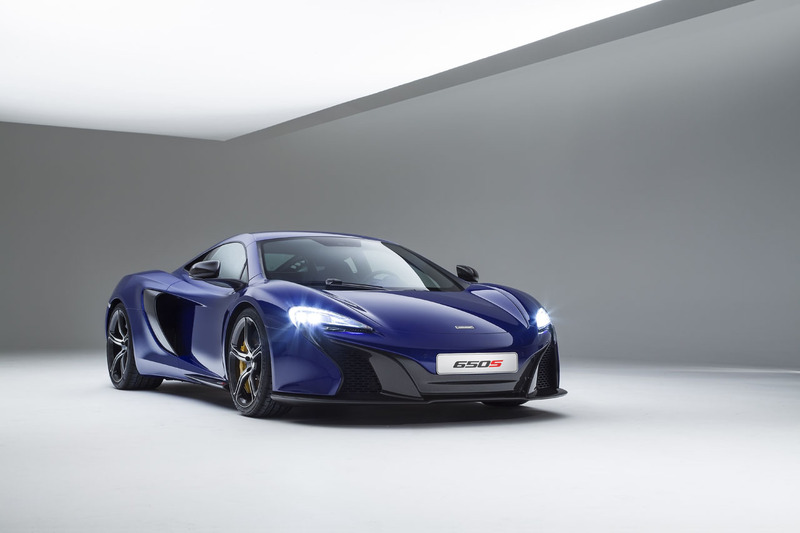 Developed under the project name "P12", the 650S will be available as either a fixed-roof coupe or as a Spider with a retractable hardtop. 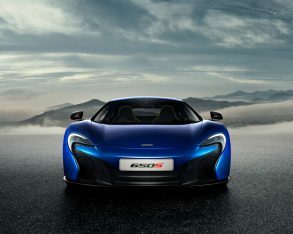 Power comes from a 650-horsepower version of McLaren’s M838T twin-turbo V8 engine (the model name reflects the horsepower rating, with the "S" standing for "sport"). with bodywork designed for both dramatic appeal and aerodynamic performance. 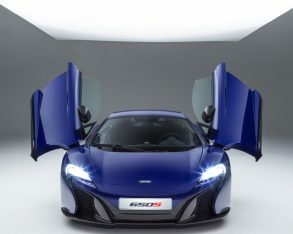 The styling is inspired by the McLaren P1, and previews a new design language for the marque, with distinctive LED headlights and unique door blades behind the front wheels to direct air from the front splitter. 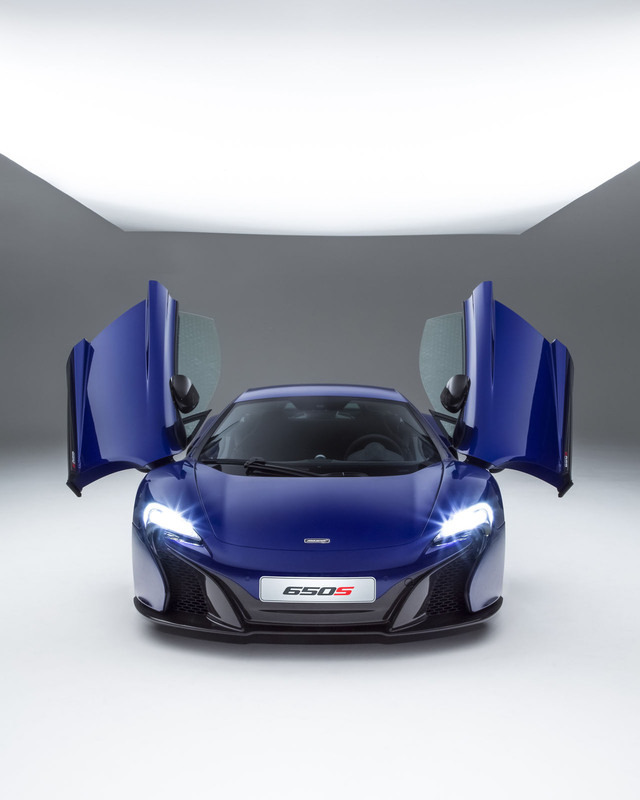 The integrated front splitter and active rear airbrake help generate superior levels of grip-enhancing downforce -according to McLaren, the 650S is as aerodynamically efficient as the 12C, yet produces 24 percent more downforce at 240 km/h. 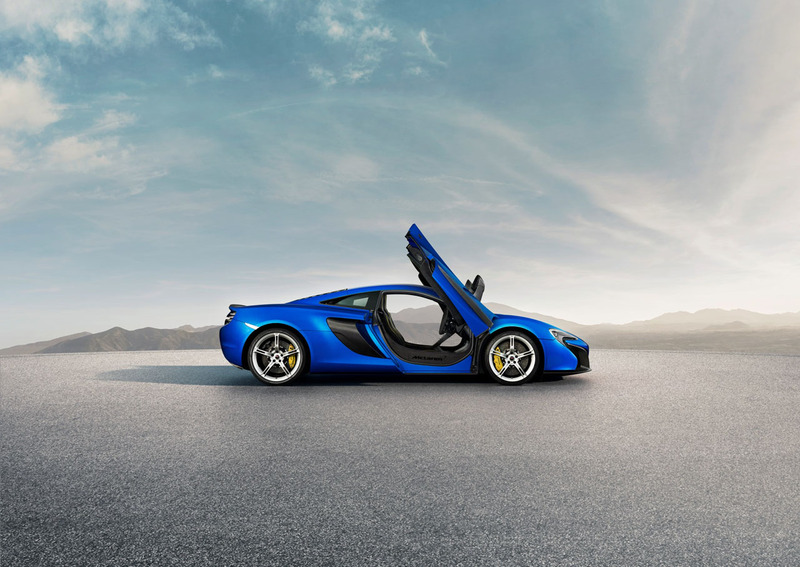 At the corners the 650S is fitted with five-spoke alloy wheels and bespoke Pirelli P Zero tires developed specifically for the car. A ProActive Chassis Control (PCC) suspension system adjusts the ride and handling for Normal, Sport and Track modes. the 650S has been designed to be "the best and most engaging driver’s car in its class," McLaren promises that it won’t be a stripped out road racer, but will instead offer ride comfort and refinement suitable for an executive sedan, with satellite navigation, rearview camera, satellite radio, Bluetooth compatibility, an electrically adjustable steering column, and more. "We are always seeking to innovate, to be the class leaders, to bring new technologies and thinking to market. 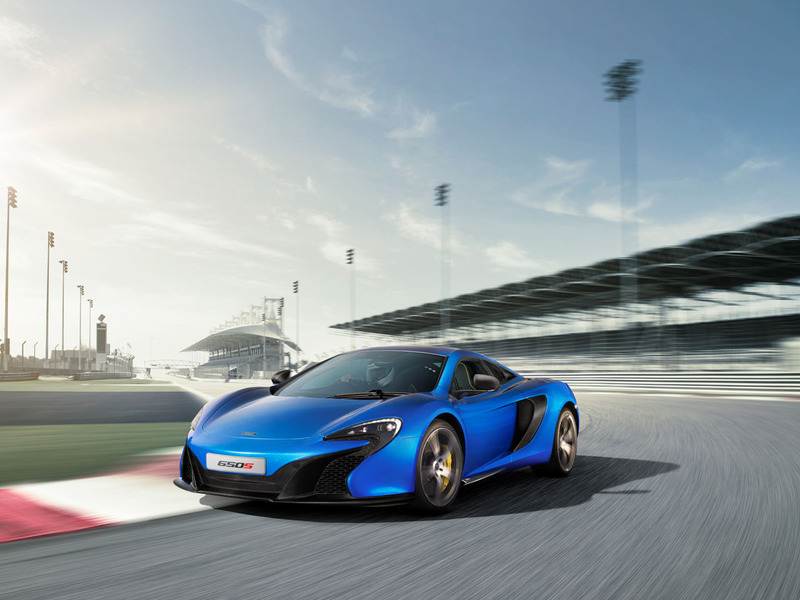 That’s our Formula 1 heritage shining through," said McLaren Automotive CEO Mike Flewitt. "Everything we’ve learnt from the 12C and the McLaren P1 has gone into the design and development of the McLaren 650S." 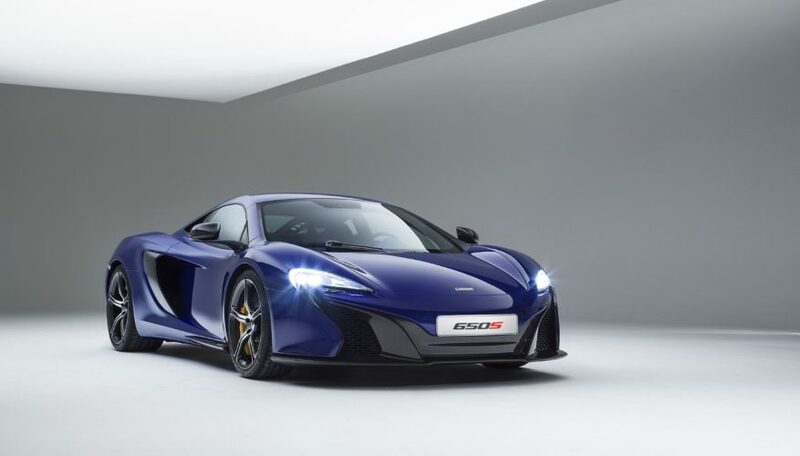 The global reveal of the 650S Coupe and Spider will take place at noon on Tuesday March 4 in Hall 1 at the 84th International Geneva Motor Show, and the car is slated to go on sale starting in the spring.